We had stayed here several times before. It is convenient as a place to stay between flights. We had a very early flight and had to leave the hotel at 2:00AM. The hotel accommodated our needs and called an Uber for us. I felt that they really went out of their way to make our short stay as comfortable as possible. 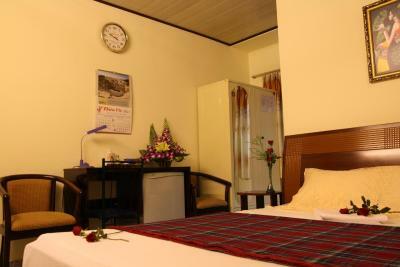 Basic facilities, good rate for airport transfer, friendly staff. 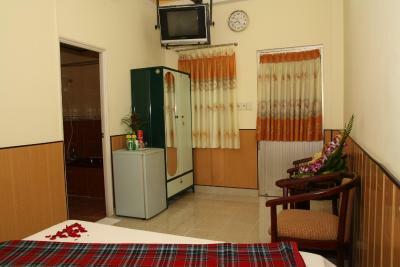 The room was clean and the staff very helpful. Needed a place for one night between flights and this was perfect. Very nice staff. Very helpful and friendly. Close to the airport. Great hospitality from the staff and I slept well. Receptionist was very helpful and was genuinely nice about it. I think the management should do what ever they can to keep her. Everything was fine! Staff, location, cleanliness. We spent a night there waiting for a connection flight and this hotel was a good choice for sure. Thank you! Отель расположен очень удачно...от аэропорта...ехать примерно 5 мин.! В номерах чисто и уютно! По просьбе, можно получить электрочайник..и т.д. В отеле очень тихо...нет звуков с улицы.... Рядом в шаговой доступности множество кафешек и ресторанчиков... Вообщем...более чем хорошо за такие деньги! 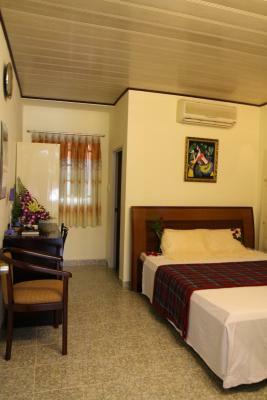 Thien Vu Hotel This rating is a reflection of how the property compares to the industry standard when it comes to price, facilities and services available. It's based on a self-evaluation by the property. Use this rating to help choose your stay! 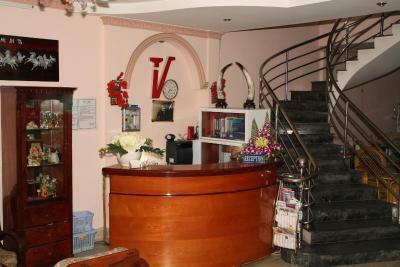 Thien Vu Hotel is in Tan Binh, a 10-minute drive from Tan Son Nhat Airport. 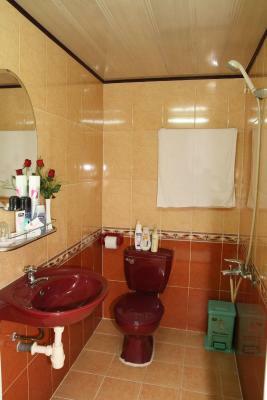 It provides well-furnished rooms with bathtub. Free Wi-Fi hotspot is available in the entire hotel. 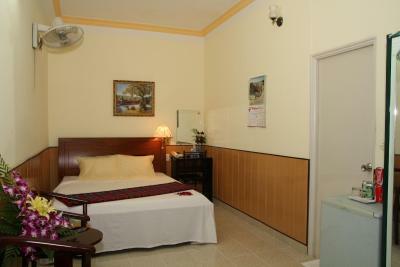 All rooms at Thien Vu are air-conditioned and feature a flat-screen cable TV. A sitting area and a work space are included. 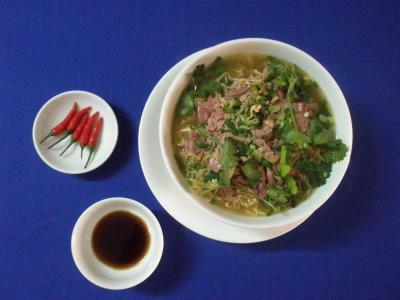 Thien Vu’s restaurant serves local dishes. Meals can be enjoyed in the privacy of guests’ rooms. 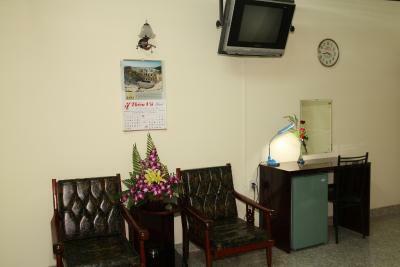 The front desk is open 24/7 to cater to guests' needs. Luggage storage and safes are available there. 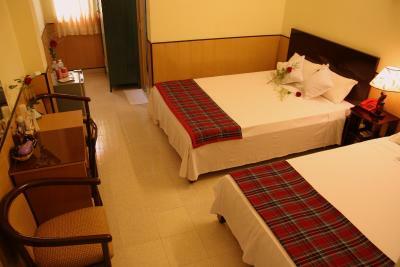 The hotel also provides a chargeable 2-way airport shuttle upon request. 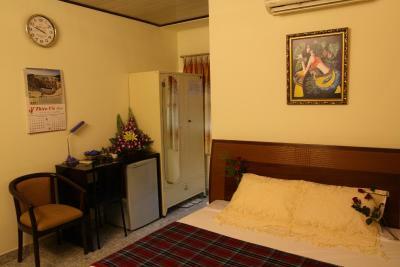 The hotel’s convenient location provides easy access to the center of the city, which is located a 20-minute drive away. There are various shopping and dining options downtown. 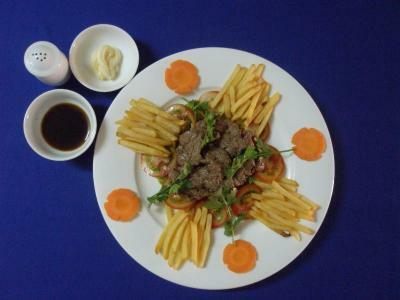 Tan Binh is a great choice for travelers interested in atmosphere, people watching and local food. 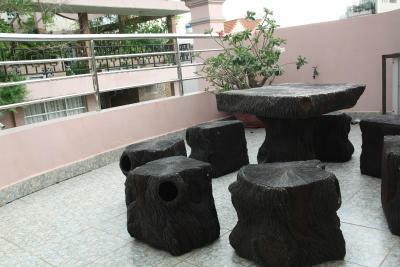 This property is also rated for the best value in Ho Chi Minh City! Guests are getting more for their money when compared to other properties in this city. 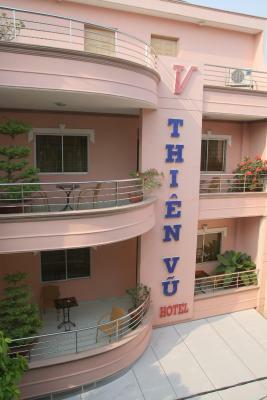 When would you like to stay at Thien Vu Hotel? Located on floors 1 - 2, this twin-sharing room features a TV and bathtub. 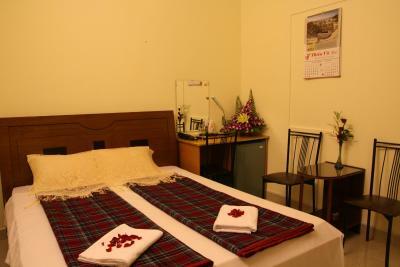 Private parking is available on site (reservation is not needed) and costs VND 69778.94 per day. Room is located on the 3rd floor. 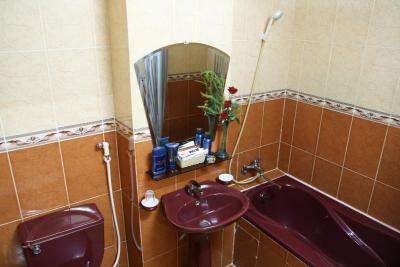 More spacious room located on the 1st and 2nd floors, including a bathtub. A private balcony is located just next to the room. Located on floors 1 - 2, this room for 3 guests features a TV and bathtub. 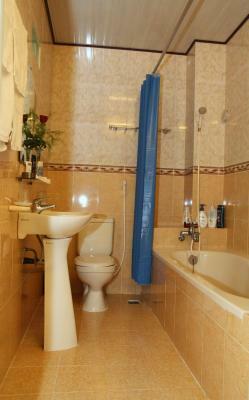 Located on floors 2 and 3, room has bathroom with bathtub. Private bathroom comes with a bathtub. 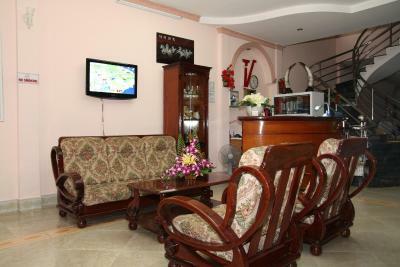 Thien Vu Hotel has only 25 rooms and locates in a small road, so we can provide you a quiet and peaceful environment. 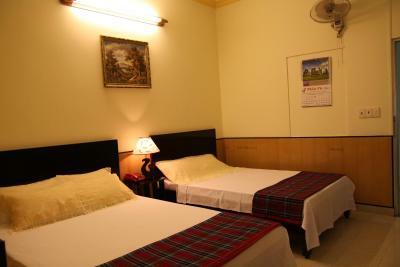 Based on the Tourism Government of Ho Chi Minh city, our hotel is categorized into 1-star-hotel. 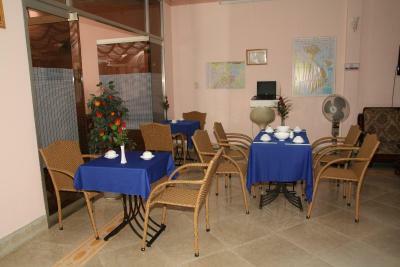 However, we can guarantee you that the service at Thien Vu Hotel is equivalent to a 3-star-hotel. It can be shown in our slogan: “Happy – Friendly and Serving with all our hearts”. 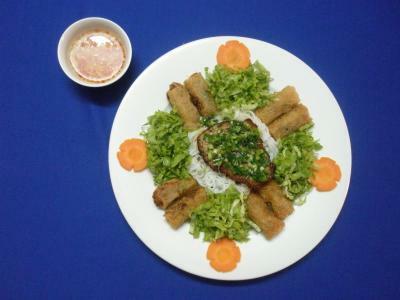 House Rules Thien Vu Hotel takes special requests – add in the next step! 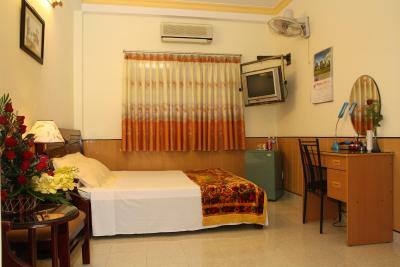 One additional child from 3 to 14 years is charged VND 69778.94 per person per night when using existing beds. Thien Vu Hotel accepts these cards and reserves the right to temporarily hold an amount prior to arrival. There was a slight smell of tobacco smoke in the room. It did not bother us, but it could be difficult for someone with an aversion to it. Smoking should be limited to the terrace, but the smell seemed to permeate the floor. 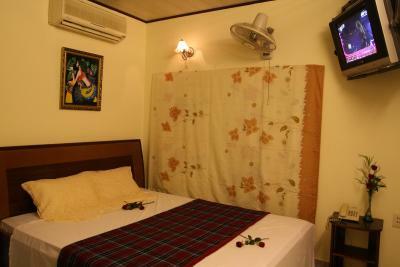 The room was quite dated and the sheets were not spotless. Hot water was not consistent. 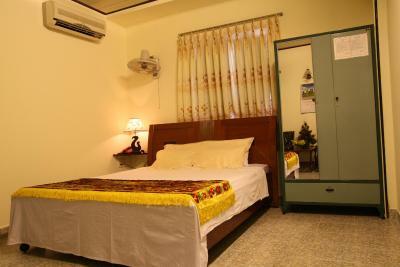 Very clean room and affordable rate. The location of the hotel. But its ok since I only stayed for 5 nights. They were all accomodating and very helpfull. Nothing really- this is pretty cheap accommodation after all.